You can register for either clinic today (just click the appropriate button below). registration is opened for future clinics at the bottom of this page. 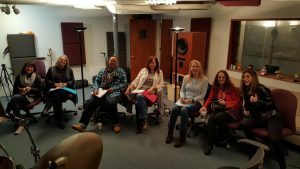 You’re invited to a one-of-a-kind event that takes place in Nashville: a clinic devoted to the hands-on techniques of modern, professional music production and recording, exclusively for women. That’s right: all of the students in the clinic are women. If you’re a woman who is aspiring to become better at recording and music production (whether for your own music or someone else’s), then you’re a candidate for this event. If you’re already involved and experienced in recording and music production, you will also get a lot out of the Clinic. 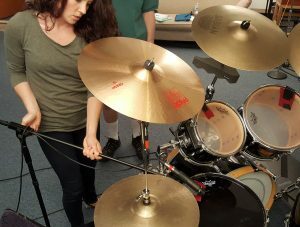 If you like to roll up your sleeves, dive in and learn hands-on with a group of like-minded women in a fun, safe and supportive environment, then you’ll fit right in at the Empowering Women In Audio Clinic. Having said that, this Clinic is not for everyone. 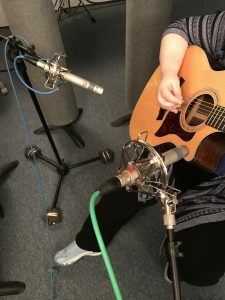 To get the most benefit from it, you really need to have at least some basic previous experience with recording, either in your own home studio, or with others in a professional studio (e.g., as a hands-on artist/producer). 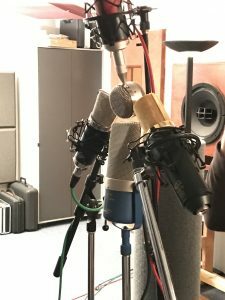 Yes, we’re going to reinforce a lot of fundamentals in addition to teaching pro recording secrets and techniques, but we won’t be explaining what a microphone is or what recording software is. 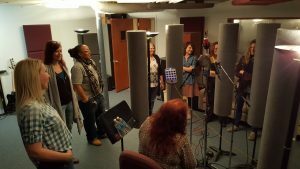 We will, however, show you how to use microphones and recording software in a variety of professional ways, to get the best sound possible from them. So, if you’re a beginner with some basic experience, you’ll probably do just fine. And you’ll be encouraged to ask questions, and will not be made to feel intimidated. If you’re intermediate-to-advanced level, you’ll definitely have no problem at all, and will probably be able to help and encourage some of the less-experienced students. It is, after all, a clinic, and we’re all going to roll up our sleeves together and help each other out. Class size is EXTREMELY limited! Because we want every student to be able to participate fully and have her questions addressed completely, class size is limited to a maximum of 10 students, and will be filled on a first-come, first-served basis. Once we exceed 10 applicants, we’ll schedule an additional Clinic later in the year, but this one will be full. We already have students signed up, so if you’re thinking of attending, you’ll want to decide as soon as possible and register for the event (see instructions below). The role of women in music production and the recording arts is changing very quickly. It used to be an almost exclusively “man’s game” — especially in the studio. Until a few years ago, with a few notable exceptions, nearly all recording engineers and producers were men. Now, that’s no longer the case. The business has truly opened up for women. Women bring an entirely different sensibility to the studio and the music production process than men do. That’s not “guy-bashing;” it’s simply an observation. It’s not that men or women are “better” in the studio — they’re just different. Some of it is biological (women have different hearing sensitivity and frequency range than men do, for example), but it’s also cultural. Women bring a certain empathy and insight to the music and to the recording process that men don’t. And their recordings and production actually sound different as a result. When women get together to work exclusively with other women, there’s an entirely different dynamic in the room than when they are working together with men. Again, that’s not intended to dis the guys; it’s simply that the whole “gender factor” isn’t present when it’s a women-only crowd. The result is that women are able to simply be themselves, and different things happen. 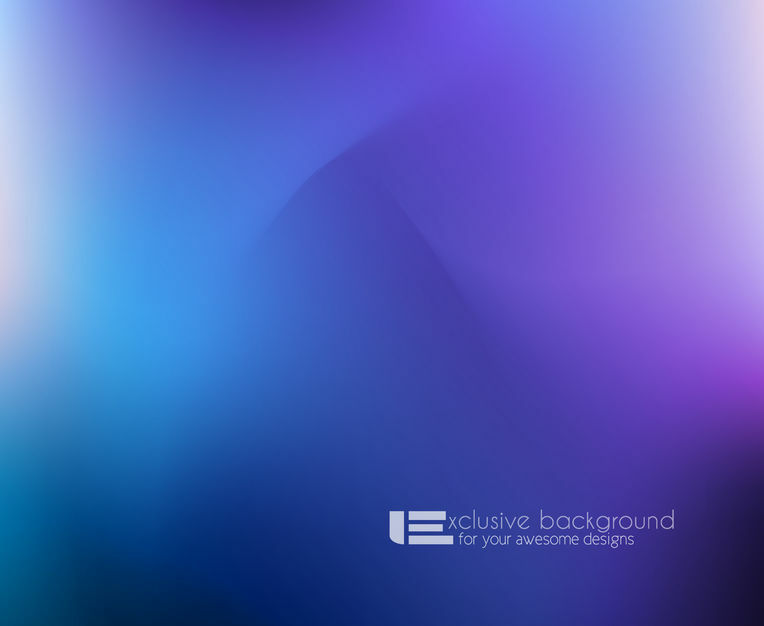 And the results for the music can be fantastic. Okay, you might be wondering: how did a guy become the host of a women-only clinic?! It’s a totally valid question. So… If you don’t know me, my name is Fett. That’s all I go by, no last name — kind of like Cher or Madonna. 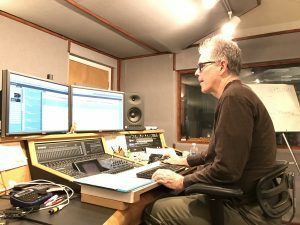 😉 I’ve been recording and producing records for nearly 35 years, the past 25 of them in Nashville. I’m also a life/career coach, author, mentor and teacher. I’m married to a “chick singer,” Nancy Moran (of The Four Bitchin’ Babes fame), who is also my business partner and co-founder of Azalea Music Group. And in life and business, we are truly equal partners, as it should be. I’ve always felt most comfortable in Nancy’s circle of women friends and colleagues, most of whom refer to me as “one of the girls.” For whatever reasons, I’m just at ease around women. Maybe it’s because the two biggest influences in my life have been my grandmother and my mom. They both taught me values, but my mom also taught me how to play guitar and got me going on my musical journey. She has also always been my biggest supporter in my music industry career, whether as a musician, songwriter, recording engineer, or producer. I also spent two years immersed in the Uplevel You Gold Elite Mastermind program offered by my coach and mentor, Christine Kane. If you know Christine, then you know that 99.99 percent of her clients are women. So when I attended her live retreats in Atlanta and Asheville, it would be a couple hundred women, and me (and sometimes a couple of other guys, max). And you know what? I never felt more comfortable and “at home with a tribe” than I did at those events. It just felt natural. I felt like I belonged there. One of my biggest mentors in my production/engineering career has been Kim Person. You may know her as the producer for Tommy Emmanuel, Stephen Bennett, Pamela Rose, Jill Colucci and numerous other very successful artists. Kim started out in the professional recording studio business years before I did, and was a true pioneer at the time. She’s a gifted musician, songwriter, engineer and producer, and has had a huge impact on my career and my perspective on music production. She was kind enough to “take me under her wing” at a time when I was getting serious about significantly upping my production and engineering chops, and showed me the ropes in a lot of areas. Her guidance and influence color everything I do in the studio today. So it’s fair to say that I’ve got a lot of “female energy” and influence in my life and career. I’m not just okay with it, I celebrate it. Over the years, I’ve noticed an interesting phenomenon taking place in my career: more and more of my production clients, coaching clients, and students have been women. Most of the CDs and EPs I produce today are for women artists. And when I teach my online courses in recording, mixing, mastering and other music production topics, there is always a high percentage of women in class, and it gets higher every year. I think part of the reason is that there are just more women “stepping up” and participating in more and more facets of the music industry. But I also think it’s more than that: I feel very comfortable with women clients and students, and they feel very comfortable with me. It has been a totally natural, unforced, organic process that has taken place over many years. 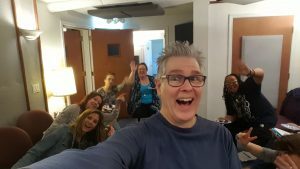 A logical outgrowth of this process has been that more and more of my women mentoring clients and students have been asking if I offer live, in-person events. 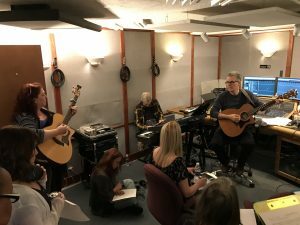 Those inquiries were the genesis for the idea of teaching an intensive, hands-on event dedicated to recording and production — AND offered exclusively to women. The style of this clinic is hands-on and immersive. Yes, I’ll be the instructor and guide you along the way, but YOU will be doing the work. Or to put it another way, the women will be calling the shots in the studio this time! 🙂 So you’ll have a lot of opportunity for real-world, hands-on experience. Over the course of five days, we’ll take a song through the entire production process from start to finish, from pre-production through a finished master. And you’ll be actively participating in every step of that process. 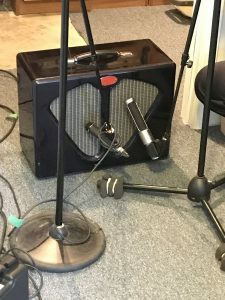 In addition to guiding and recording the session, you’ll get a chance to sit down with all of the musicians in the band and pick their brains. I’ve intentionally left space in the schedule so that you can get “quality time” with them and ask them any questions you’d like to about their process in the studio, and how they approach their craft. There is nothing quite like spending time working side-by-side with Nashville studio pros. That part of the experience itself is worth the price of admission. As you can see, we’re going to cover a LOT of ground in just five days! As such, the schedule will be full, from 9 AM until we’re done each day (shooting to wrap up around 6 PM), with a short break for lunch. So in order not to miss anything, you’ll want to arrive in Nashville the night before the event, and not schedule any daytime activities during the five days of the Clinic (although you will most likely want to take advantage of all that Nashville has to offer in the evenings). Our next two Clinics will be April 29th – May 3rd, 2019 and October 14th – 18th, 2019 (both are Monday through Friday). You can register for either clinic below. Or if you can’t make either of these two clinics, you can click on the link at the very bottom of this page to be notified of other clinics in the future. The normal cost for this intensive, 5-day clinic is $1497. HOWEVER, for a limited time, we are offering discounted registration. For those who prefer to spread the cost out over time, we also offer a payment plan (note: the payment plan includes a nominal finance charge). You can register for either clinic (April or October) now (just click on the appropriate button below). The Clinic will be taught at Azalea Studios, which are located in Brentwood, a suburb of Nashville about 20 minutes south of Music Row. The only thing that could change that is if the number of students grows to an unwieldy number, but it’s more likely we’ll add a second Clinic before we’ll change the location. Fortunately, Brentwood is a large and active Nashville suburb that’s used to hosting events, so there’s a ton of lodging available within just a few miles (a ten-minute drive) of both the Clinic and Nashville proper. In addition to Airbnb-type accommodations, Brentwood has numerous suites-type hotels. They usually run $80 – $90 per night, but there are often discount specials (for example, the Brentwood Holiday Inn Express and Suites recently ran one for just $60 per night, which is a really great deal for the Nashville area). If you do a Google search for “suites hotels in Brentwood, TN 37027” you’ll see the latest prices and deals. Any time of year is pretty amazing for music-related events in Nashville, so if you’re interested in making music a part of your trip, it’s worth putting an extra day or more into your stay in Music City. Want to be notified about future Clinic dates? If you’ve got any questions, would like to be kept in the loop about future Clinic dates, or would just like more info, feel free to e-mail me at fett@azaleamusic.com and I’d be happy to help. Looking forward to seeing you at the Clinic!